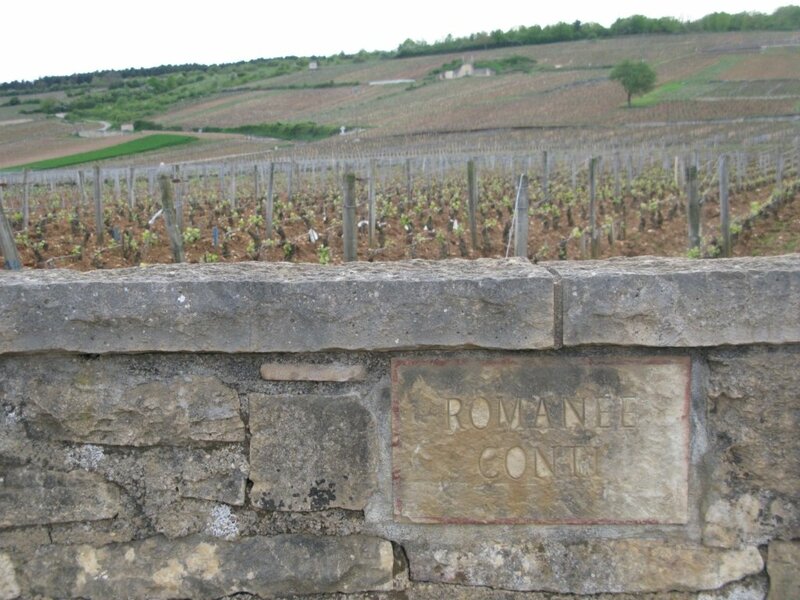 If one were asked to name a domaine in Burgundy (‘Bourgogne’ in French), very high chance that three letters would be the top-of-mind answer: D-R-C, which is the acronym of Domaine de la Romanée-Conti. In October 2014, Sotheby’s reported a world auction record for the most expensive wine lot when it sold the ‘Romanée-Conti Superlot’ of 114 bottles – vintages 1992 to 2010 (6 bottles per vintage) – for HK$12,556,250. This price means HK$110,143 per bottle, which equals HK$13,768 per glass for 912 glasses. Are all Burgundy wines that expensive? Why are Burgundy wines so special? Here are the answers and all you have to know about Burgundy wines. DRC produces wines of 8 Grand Crus in limited quantity. Among these wines, Romanée-Conti Grand Cru has been the most iconic from DRC and one of the wonders of the world. There has been an average of only 5,000 bottles of this wine produced in the last two decades. In difficult vintage like 2008, there was only 3,151 bottles produced. According to market data released by wine-searcher.com, average price of Romanée-Conti Grand Cru spans from HK$92,000 to HK$128,000 for vintages of the past two decades. That is by far higher than the counterparts in Bordeaux, no matter that is any of the first growths from the left bank or the renowned ones from Pomerol on the right bank. On the contrary, you can indeed get a bottle of Bourgogne AOC (regional appellation) Pinot Noir at less than HK$200. How should we understand Burgundy wines then? The French idea of ‘appellation’ (Appellations d’Origine Contrôlée, AOCs – equivalent to Appellation d’Origine Protégée, AOPs, which you may also see nowadays) came into place in the 1930’s. In short, AOC tells a sense of place and the terroir where the grapes were grown on a piece of land with specific natural element (geological, climatic, vegetation, etc.). Yet, for Burgundians, terroir and AOC seem to be too general. In Burgundy, the term ‘climat’ is more often used instead of terroir. The 100 AOCs are divided into four levels: regional (23), village (44), premier cru (named after village AOC) and grand cru (33). ‘Climats’ are precisely delimited plots, within a village, that enjoy particular geological and climatic conditions. In 2015, the ‘climats’ were included on the UNESCO World Heritage List. When we read Burgundy wine maps at village level, we often see the ‘climats’ named and applied to territories classified as Premiers Crus or Grands Crus AOCs. For Premier Cru (often abbreviated as ‘1er Cru’ on bottle labels), name of ‘climat’ is written after the name of village. There are 635 Premiers Crus ‘climats’ under the 44 village AOCs. Among the Grands Crus AOCs, Musigny Grand Cru and Corton Grand Cru are the only ones producing both red and white wines. Others produce either red or white. Take the example of village Chambolle-Musigny (map), there is Chambolle-Musigny (village AOC) and Chambolle-Musigny 1er Cru (Premier Cru). There are 24 Premiers Crus ‘climats’ such as ‘Les Amoureuses’, which will be named as ‘Chambolle-Musigny 1er Cru (AOC) Les Amoureuses’. 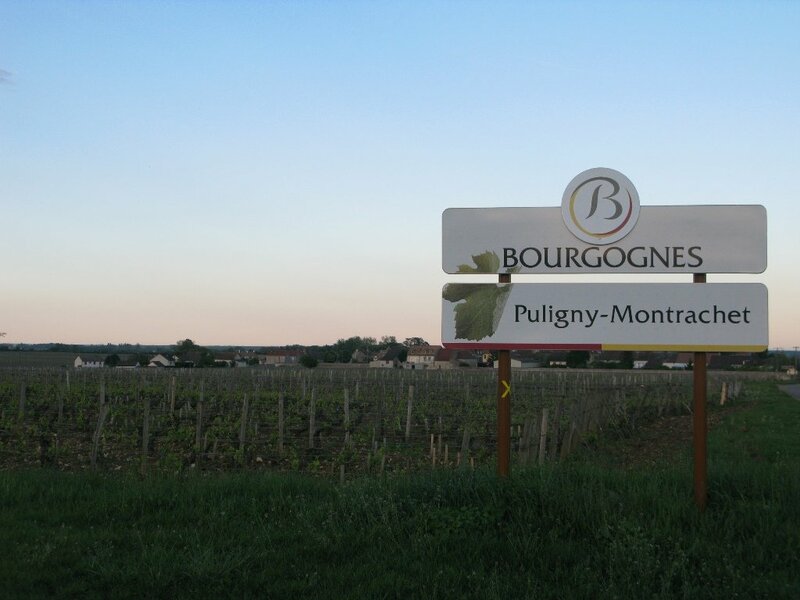 In this village, there are 2 Grands Crus AOCs: Musigny and Bonnes Mares, which are Musigny AOC and Bonnes Mares AOC. AOCs with the word “Montrachet” are sometimes confusing for drinkers new to Burgundy wines. 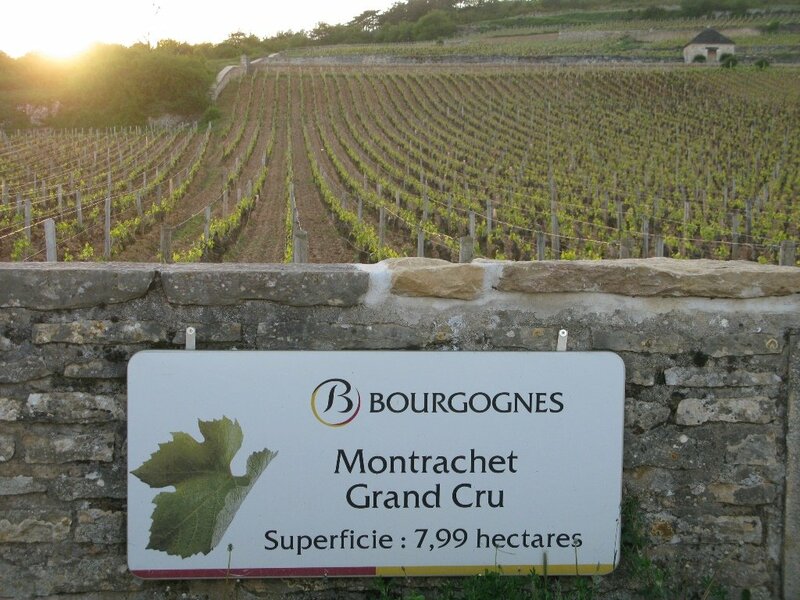 Take note of the different levels of AOCs with “Montrachet”: 5 of them are Grands Crus, 2 of them are village appellation – do you know them all? Before thinking about how to choose, ask yourself whether you are buying for personal consumption or investment? For investment, first think about how much you can afford as the ‘investment capital’ and your level of aversion to risk. There is no guaranteed return, and risks include economic risk, currency fluctuation, potential storage problem, and liquidity issue. Spare only the amount of money that you can afford for long term investment. As wine investment is unlikely a short-term one, you should expect there are cost of storage or delivery and other administrative cost. Next, look for trustworthy auction house or brokerage firm. If you do not plan to keep the physical bottles, find a reputable custodian and secured storage facility with conditions good for wines. Do not forget to do your homework – check the market price, provenance and quality, buyer’s commission and any other hidden costs. Ask your broker or auction house for advice. Go for Grand Cru AOC. Grand Cru wines come from grapes grown on the best plots of ‘climats’, and make up approximately 1% of total Burgundy wine production (let alone Chablis Grand Cru that includes 7 ‘climats’). As such, Grand Cru AOC wines are not only fine and rare ones with ageing potential, but also difficult to find when the wine matures as consumption over time further drives down the quantity available in market. This scarcity eventually could help raise the price due to the demand-supply imbalance. Apart from DRC, there are other producers being considered as ‘investment-grade’, such as Domaine Leroy, Henri Jayer, Domaine Comte Georges de Vogüé, and Domaine Armand Rousseau. Keep an eye on the different ‘flagship’ Grand Cru AOC from each of them and their Premier Cru wines. Check also vintage guides (example: white / red by Jancis Robinson) before you make your investment decision. If you are buying for personal consumption, ask yourself what style of wines you like and how much you want to pay for a bottle. Bourgogne (regional appellation) ones should be the most affordable among all Burgundy wines, yet more like everyday table wines. Wine drinkers who fancy for wines with stronger character of the respective AOC should look for village AOCs. In order to appreciate the wines, you should learn about the characteristics of Chardonnay and Pinot Noir, which are the basis of these village wines. When it comes to Premiers Crus, it is quite tricky as there are so many (at variable quality and in variable style). One of the clues is to pick the village AOC that you like and try the Premiers Crus from there; another is to go for wines from decent producers or négociants. Some village AOCs that you should at least try once (or as many times as you want) are: (in Côte de Nuits) Gevrey-Chambertin, Chambolle-Musigny, Vougeot, Vosne-Romanée, Nuits-Saint-Georges; and (in Côte de Beaune) Pommard, Volnay, Meursault, Puligny-Montrachet, Chassagne-Montrachet. These offer you tastes of various styles from Burgundy. If you are buying mature Grands Crus, take note of the provenance and quality (versus asking price). No matter which level of AOC or which particular bottle you plan to buy (or have eventually bought), check the ageing potential, maturity state and approximately when the wine is at its right time to drink. After all, if you like Chardonnay and Pinot Noir, you would definitely find it worthwhile spending the time to learn about Burgundy wines and (as far as possible) the money to buy good bottles of them. Spend wise and drink better. Just rated Powers Johns Lane few min ago – 1,5 stars (from Middleton-Pernod Ricard). Some sweetness, vanilla, wood – no improvement with time in the glass and water. Peat is dominant, but not pleasant.